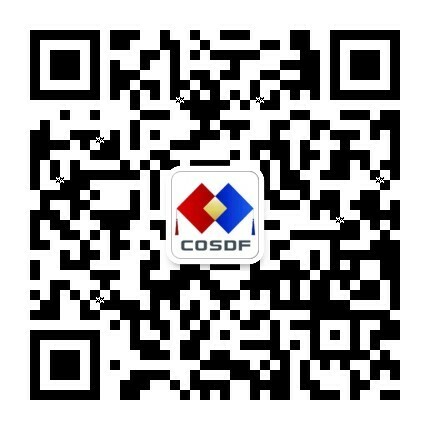 On August 18, 2016, China Overseas-Educated Scholars Development Foundation Special Fund on Innovative Medical Research and Development had the donation and signing ceremony held in Beijing. 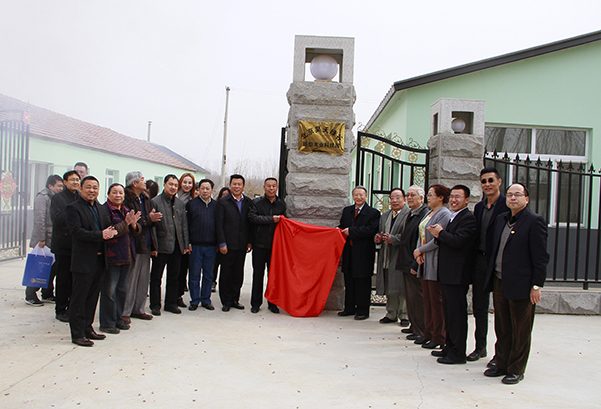 General Director Cao Weizhou and Secretary-General Zhuang Liang of China Overseas-Educated Scholars Development Foundation attended the ceremony. 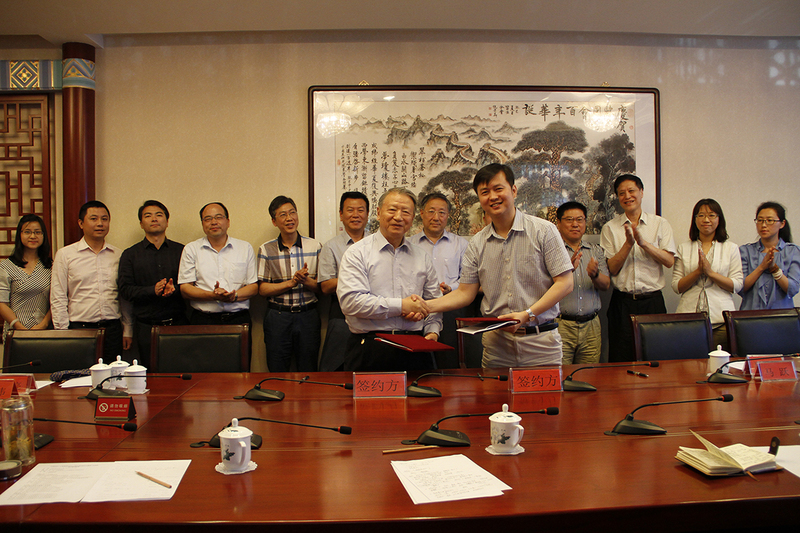 The signing ceremony was chaired by the Deputy Secretary-General Liu Wei of China Overseas-Educated Scholars Development Foundation. Medical research is important for national health. Among a variety of diseases, cancer is one of the most intractable diseas that all people fear. Statistics show that just in 2015, there are a total of 4,292,000 new cancer cases and 2.814 million death cases. Effective treatment of cancer, on the one hand, needs constant exploration on new technologies and treatment programs, and on the other hand, it is a complex process containing doctor-patient trust and collaboration. Nowadays facing the intense relationship between doctors and patients, it is significant and meaningful to use all forces to promote technological development, explore more effective treatment of cancer and improve the life quality of patients with new treatments. 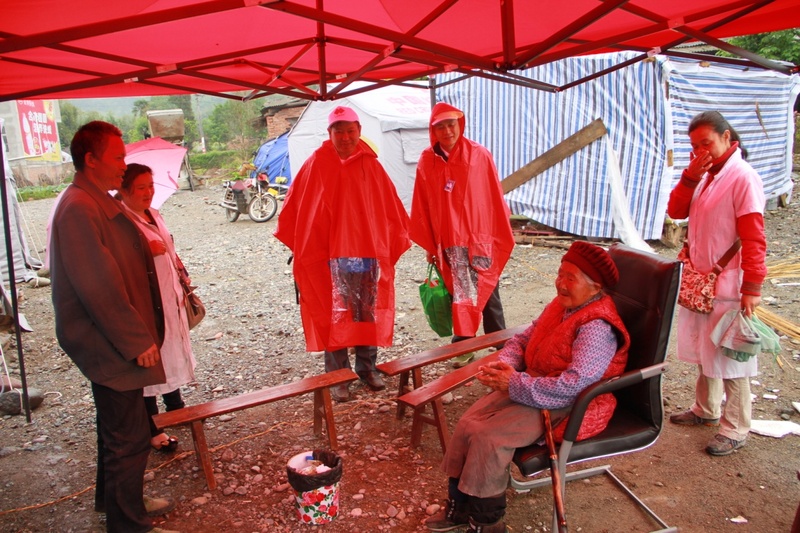 It is also very important for the cancer patients according to their illness conditions and their family economic conditions to develop treatment programs together with the doctors. The Special Fund on Innovative Medical Research Development is to support and research the application of NKT immune therapy in cancer treatment, and develop more researchers to conduct international exchanges; to conduct popularization on cancer treatment and immunotherapy; to increase knowledge base and ability of the patient and medical personnel to be involved in cancer treatment decisions; to disseminate the concept of "comprehensive treatment of cancer , co-decisions by doctors and patients" to promote doctor-patient communication and improve doctor-patient relationship.Director of the Tsinghua University Institute of Cells, vice chairman of Jiu San Society Tsinghua University and new drug review Professor of SFDA New Drug Review Center Zhang Minghui served as director of the Management Committee of the special fund. 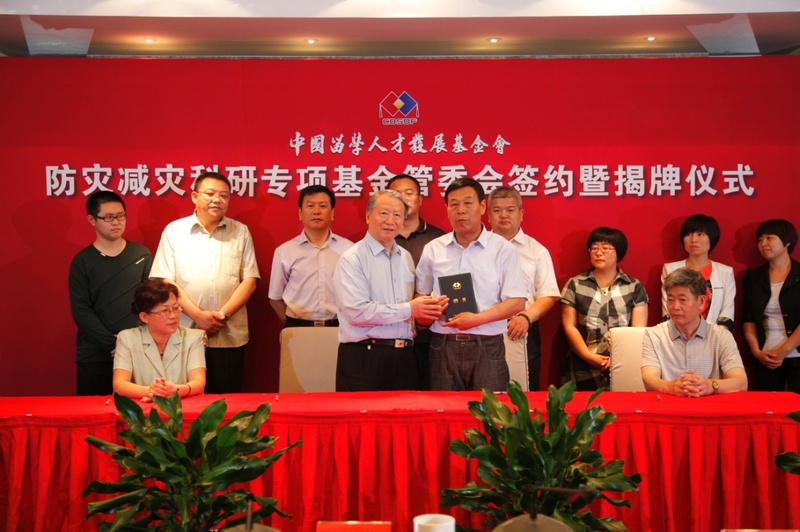 Professor Zhang Minghui in 2009 created a new technique on NKT anti-tumor immune therapy, which won the financial support of the project of major new medicine development plan of "the Twelfth Five-Year Plan", and approved by theHealth Department of General Logistics as Class III medical technology in 2013. 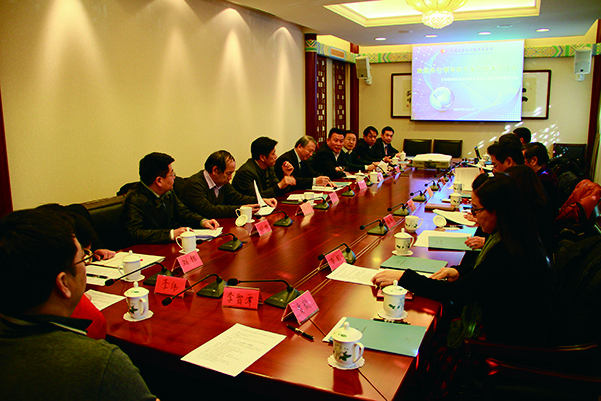 At the event, Professor Zhang Minghui made a report on scientific research. Engaged in immunology research for over 20 years, he believes that the immune system is most complex defense system in the human body, and when it goes out of orders many diseases including cancer will be resulted. He believes that besides researches on cancer, it is also important to spread the right medical conception with positive energy. Patients and their family members should cooperate with the medical personnel and create a new medical model with the health care system you can apply and copy. Therefore, a wider field of medicine will be affected, which will allow the future of China's medical condition being changed fundamentally. Finally, he hoped that the establishment of innovative medical research and development special fund could get the support from social forces and the state, which will benefit more patients and contribute to the development of China's medical industry. 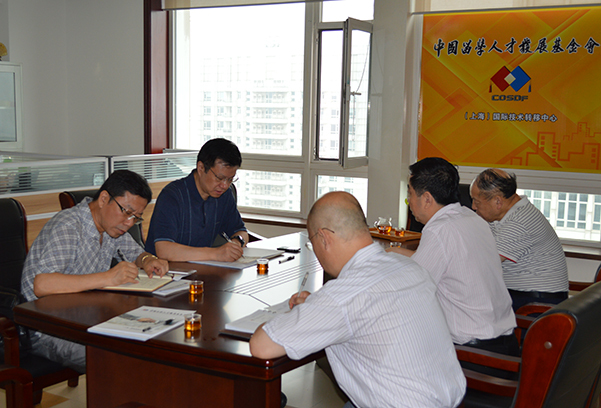 Technology Co., Ltd. make a first donation to the innovative medical research and development special fund. He said that the change in medicine would ultimately benefit the patients, and that it’s honorable for the enterprise to make contributions through China Overseas-Educated Scholars Development Foundation. 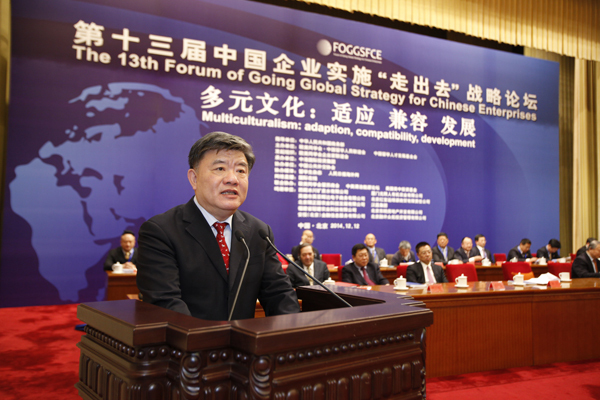 General Director Cao Weizhou affirmed and appreciated the deep research conducted by Professor Zhang Minghui. He said that this was a great but a difficult program, he hoped that the foundation could give full play to its role, saving lives, benefiting the humans, and serving the community. 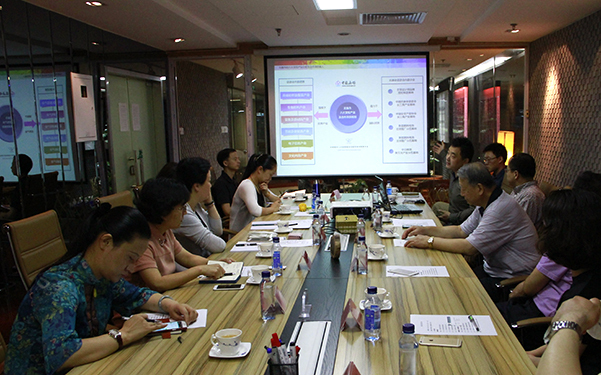 Secretary General Zhuang Liang expressed his total support to the innovative medical research and development special fund. He hoped that the foundation could work to unite the experts in this field through the special fund, and further promote the innovation and development of the health profession. We should make propaganda and popularization through different media outlets, transmitting positive energy to deal with cancer. 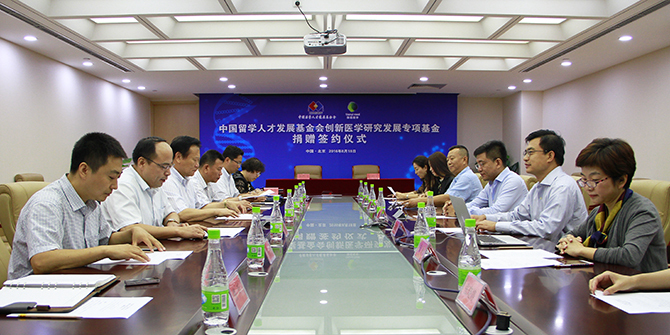 After the event, the two sides signed a letter of responsibility of the innovative medical research and development special fund management committee. General Director Cao Weizhou issued the donation certificate to Mr. Liu Zhiheng from Beijing Tianyi Medical Technology Co., Ltd. and the letters of appointment to Professor Zhang Minghui and Ms. An Yang as director and deputy director of the Innovative Medical Research and Development Special Fund Management Committee. Other attendees at the signing ceremony were: director of the NPC Foreign Affairs Bureau Lu Yongjie, assistant director of Tsinghua University Medical Center Zhao Ying, deputy genenral manager of Beijing Tianyi Medical Technology Co., Ltd. Doucui Feng, senior host from Beijing People's Broadcasting Television and Radio Health Program An Yang, senior producer of CCTV Economic Channel Jiang Shiming, director of CCTV Science and Education Channel Zhang Xiaoting.